Inspiration always seems to find me when I’m not looking and that is exactly what happened as I settled in to watch a few minutes of television last night. Lucky for me, I clicked over to Kenny Mayne’s Wider World of Sports, a show on ESPN that puts sports into a cultural context. One of the segments was on the Palio, the famous, twice-yearly horse race in Siena. Mayne gained insider access to the Leocorno (Unicorn) contrada to cover the race from mane (ahem) to tail. We learn about Leocorno’s rivalry with the Civetta (Owl) contrada, the pre-race ritual of having the horse blessed in the district church, and the strategies and intrigue that go into competing in one of Italy’s oldest sports traditions. Both the footage and the commentary in this segment were compelling, so I wanted to share the video with you. 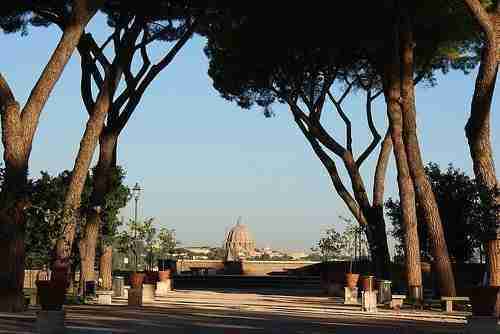 Next Next post: The Seven Hills of Rome: What Are They and What Can You See? Thank you for sharing! I just finished writing an article on the Palio, and this video illustrated perfectly what I was trying to describe!